If you have a DVD player, you can host a Bible study today! 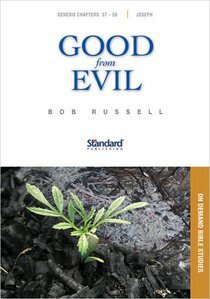 These self-contained studies taught by Bob Russell are easy to use and require no prep or special knowledge from you, just insert the disc and press play! About "Mysterious Ways (Genesis 37-50) (On Demand Series)"
Rusty Russell is an associate minister at Southeast Christian Church, where his father, Bob Russell, is senior minister. As a member of the preaching staff, Rusty works behind the scenes in sermon preparation, research, and writing. He is a graduate of Cincinnati Bible College and Seminary and is pursuing a master of divinity at the Southern Baptist Theological Seminary. Before coming to the staff of Southeast, Rusty served as a preaching minister, teacher, and Christian school administrator.